Sign this petition to the U.K. government. 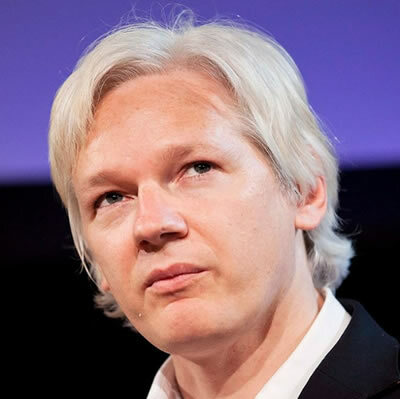 Do not extradite Julian Assange to the United States. Set him free. He is a publisher. He has informed us about human rights abuses and crimes committed by the U.S. government overseas -- abuses that the U.S. government has tried to keep secret from us. 9401 4 hours ago JOAN INGRAM-EISER Point Reyes Station, CA , US FREEDOM OF SPEECH IS AN IRREVERSIBLE RIGHT OF DEMOCRACY, AND MORE SO WHEN IT REVEALS THE CRIMES OF AUTHORITY. 9391 9 hours ago Andrew Howard Reading, ot , GB The UK broke the law by arresting him. This is an illegal act. 9390 10 hours ago Frank Griffin Glasgow, GB Without freedom of the press, we are all lost. Since when did telling the truth become a crime?